The man who refused to believe the takahe was extinct died in Dunedin on Tuesday at the age of 98. I saw takahe at Mt Bruce. It is a wonderful place to visit. The birds are about a large chicken in size. WELLINGTON, New Zealand: New Zealand doctor Geoffrey Orbell, who rediscovered a flightless bird that was believed extinct almost 60 years ago, has died in the southern city of Dunedin, his family said Wednesday. He was 98. 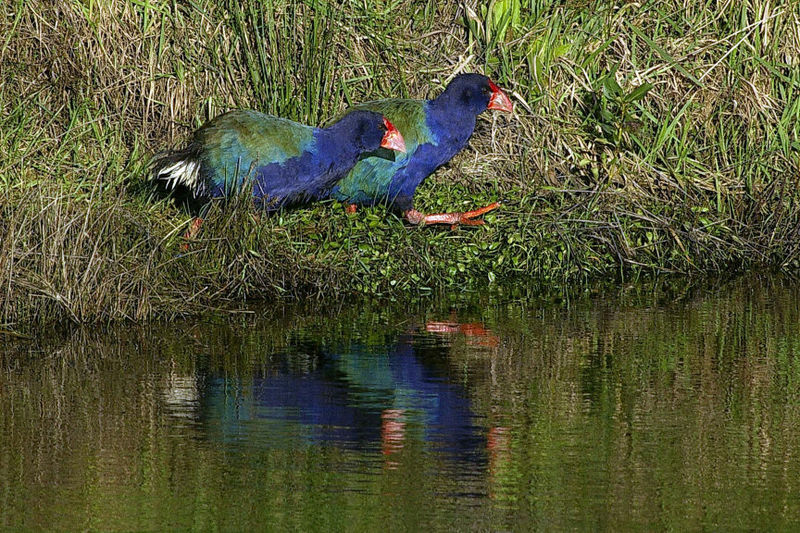 No one had seen a live takahe — a unique blue-green, hen-like bird with a bright red bill — since the late 1890s, when Orbell and three companions found a small colony in Fiordland on South Island in November 1948. The discovery stunned the world of ornithology and made front-page news across the globe. Geoffrey Buckland Orbell was born Oct. 7, 1908, at Pukeuri on South Island… He graduated in medicine and chemistry in 1934, then went to Moorfields Eye Hospital in London where he received a Diploma in Ophthalmic Medicine and Surgery… Orbell didn’t retire from medicine until he was 70….